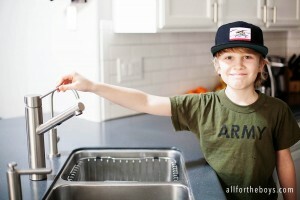 One of the things you will find a lot of on the blog are pranks, but who doesn’t love those? 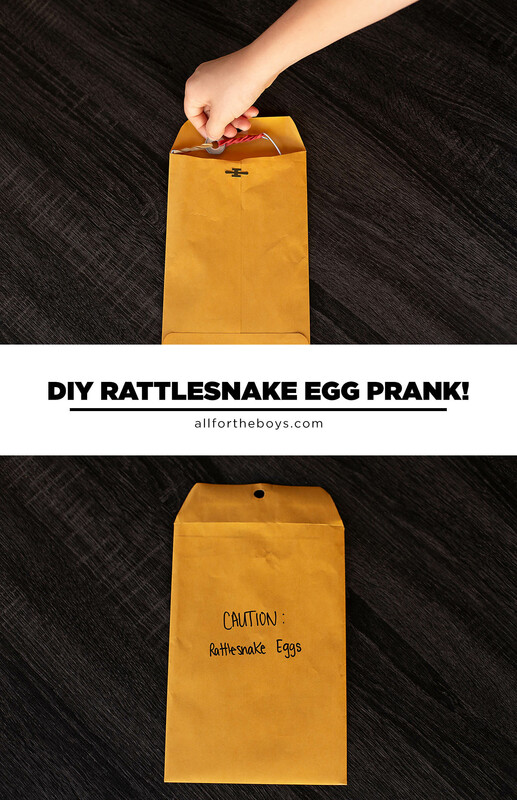 Our family does, and one that we’ve done for quite a while is the rattlesnake eggs prank. Living in Arizona, it’s sort of fitting, so you can find them in gift shops but you can also make one on your own really easily. It’s a pretty funny and fairly easy prank to make and pull on someone. 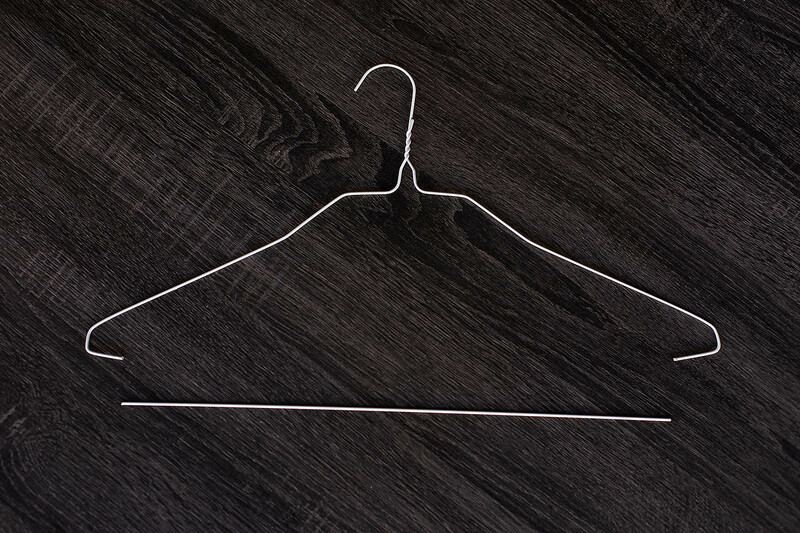 First, cut out the bottom part of the wire hanger with the wire cutters, and be careful since it’s probably sharp and might fling at you when you cut it – please do this with parental supervision. 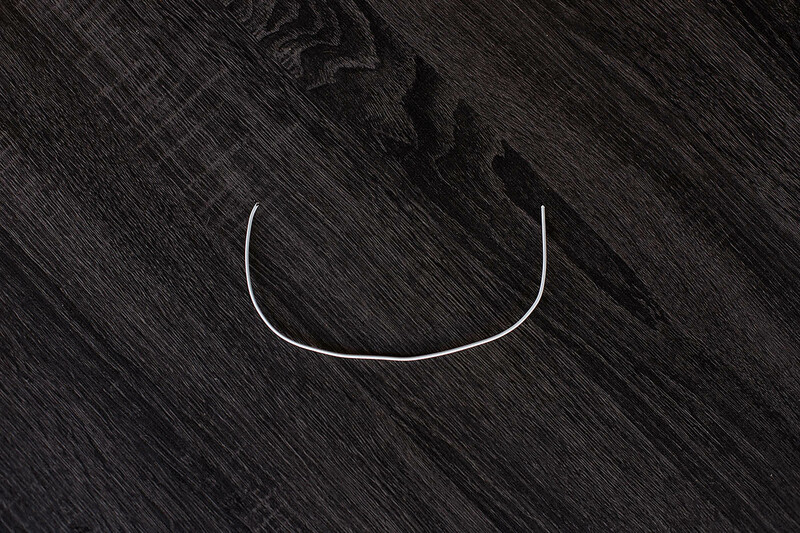 Once you have that, bend it into a U shape as good as you can, and curl the very end of both sides. 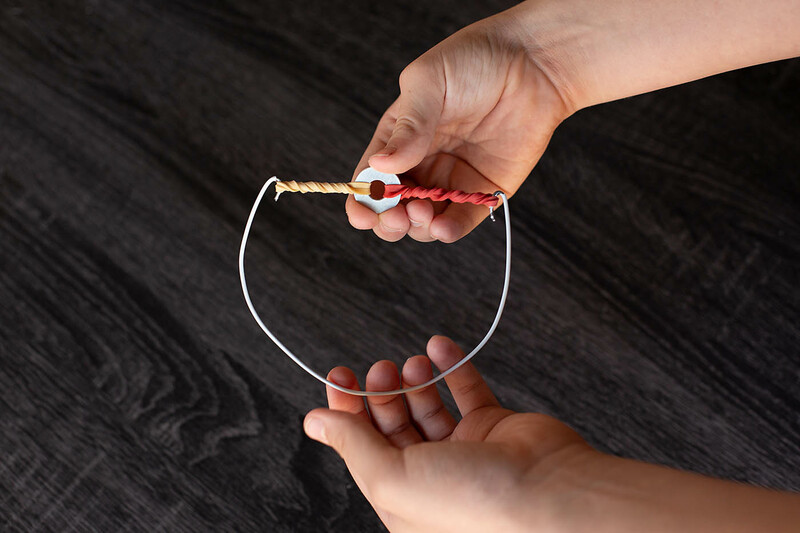 Make sure the wire U is small enough so you can fit it inside the envelope without it being seen. 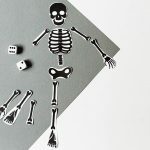 You may need to play with the size depending on which envelopes you use. 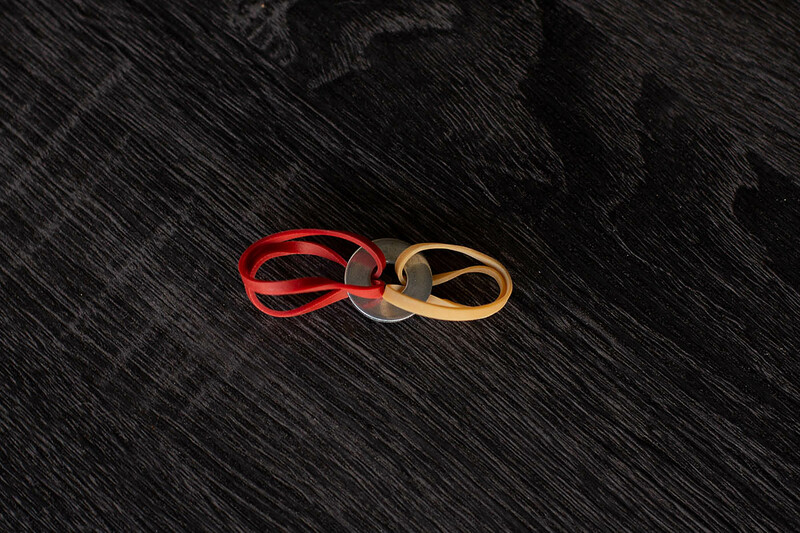 Take two rubber bands and put them halfway through the washer, opposite of each other. 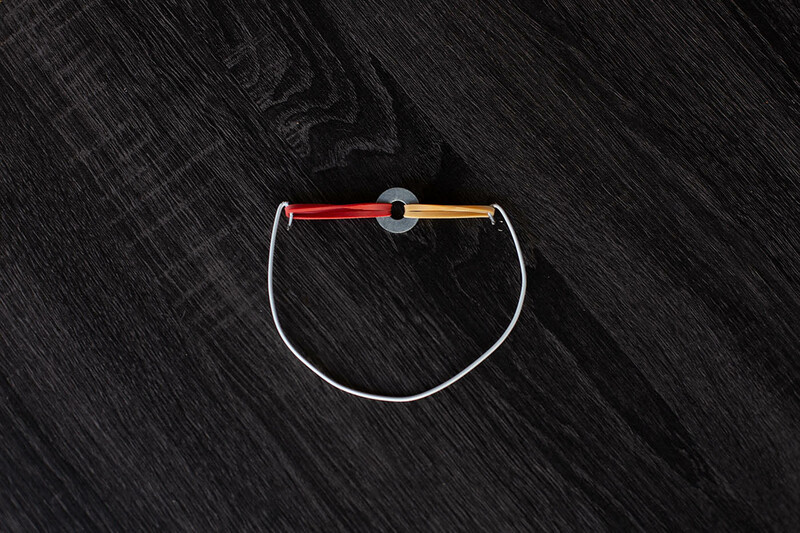 Carefully put the whole thing on the wire U, and make sure it’s secure on the hooks. 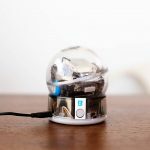 Now that you’re finished with the contraption, wind up the washer and slip it into the envelope making sure it doesn’t unwind. If the envelope is tight enough, it should only unwind when someone tries to look into it or squeeze it. 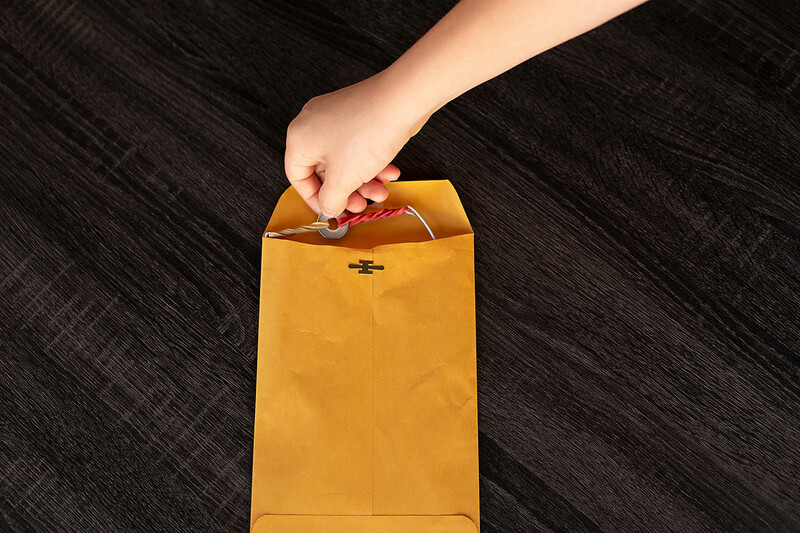 Some things to try if your envelope isn’t staying shut – add a piece of cardboard or two inside the envelope, try to make your noisemaker larger, or try a different envelope with a smaller opening. To fully execute the prank, make sure to decorate the envelope. 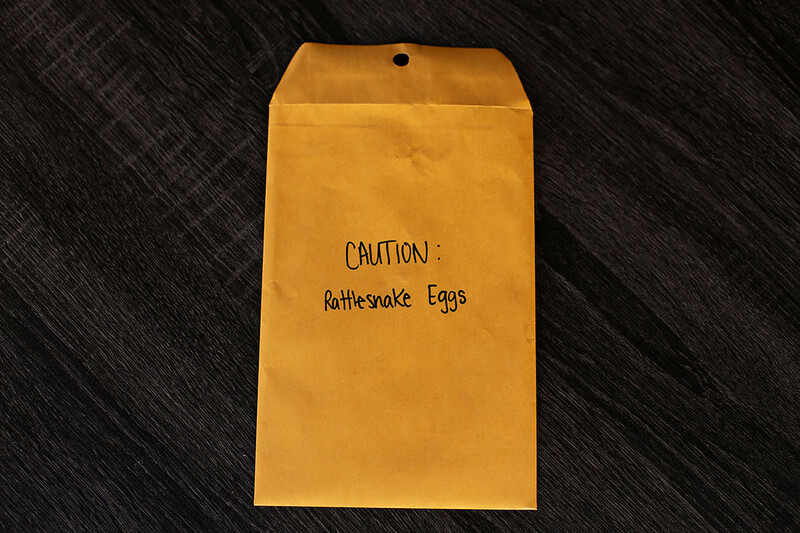 I think the best is to write something along the lines of “ Caution: Real Rattlesnake Eggs”. We love this prank and think it’s a hilarious one to pull on someone. P.S. 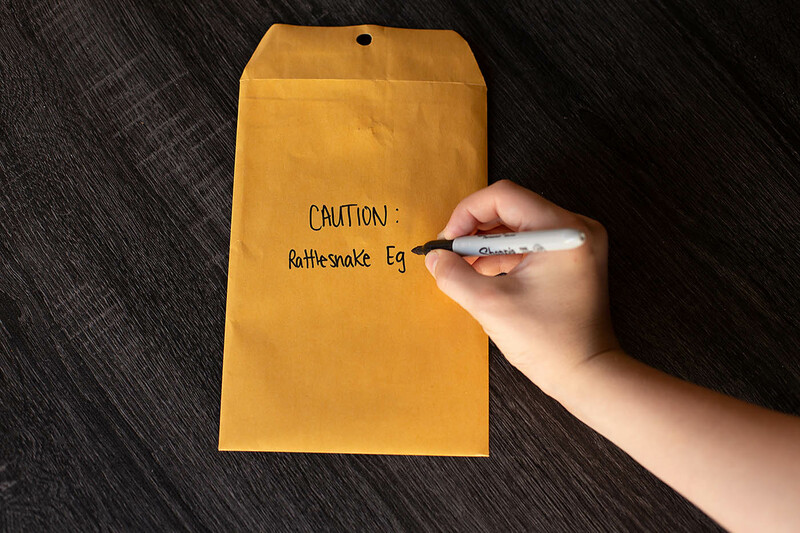 Rattlesnakes don’t lay eggs. They actually give birth to live babies! Use your noisemaker to make other noises too. 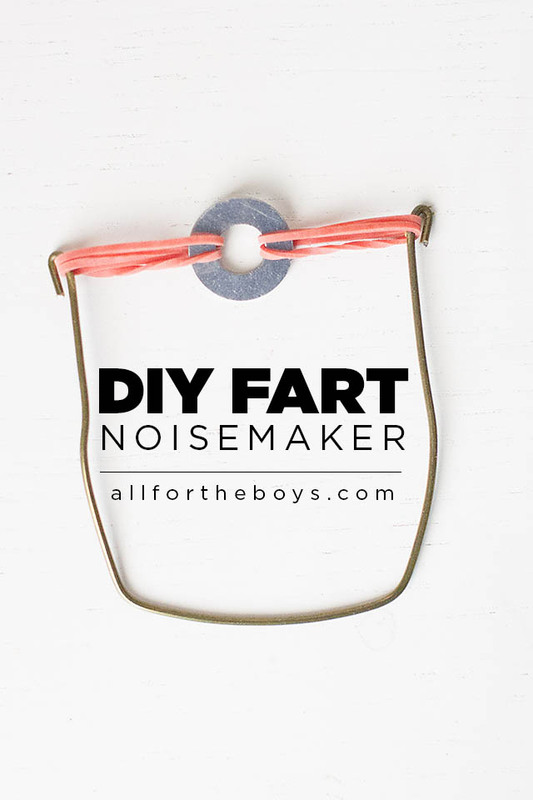 It’s the same design as our DIY Fart Noise Maker! That would be fun for kids to learn and show to his friends. My eldest son will love this.